Join a standard of excellence with a strong employed network that values integrity, quality medical care and compassion. Live & practice in desirable, prosperous communities of San Antonio, New Braunfels & Schertz. Build your patient base in a blooming community in a new medical office practice or join an established primary care practice! Baptist shines as a training ground for health care professionals who want to excel in their chosen fields. Our long history of achievement combines with our embrace of medical innovations for a best-of-both-worlds career environment.We believe care is more than technology - our people make the difference by delivering quality, compassionate health care. 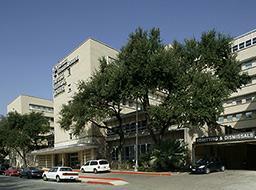 Baptist Health System is made up of six hospitals, five in San Antonio and one in New Braunfels. All five San Antonio facilities are Certified Chest Pain Centers & all participate in the Brain and Stroke Network. BHS is the only healthcare provider in Texas, and one of five in the nation, selected by Medicare as a demonstration site for Acute Care Episode (ACE) Program. As one of the top 10 largest cities in America, San Antonio uniquely offers all the world-class amenities of a big city with a small town community feel. This is a great city for families or individuals that are active and adventurous at heart. From the Alamo, where Texas soldiers had their last stand against Mexican troops, to the world-famous River Walk lined with restaurants and shops, to the 68 miles of urban hike and bike trail and over 11,000 acres of urban parks, there’s an activity to suit every taste here in our city. Families can enjoy Six Flags Fiesta Texas, take a trip back in time at HemisFair Park, site of the 1968 World's Fair, or catch the San Antonio Spurs lighting up the court at the AT&T Center. In addition to the many benefits of San Antonio, cost of living remains low relative to other cities, with low unemployment and a diversified economy. The family-friendly city boasts more than 30 colleges and universities, and San Antonio was named the 10th fastest-growing city in 2015 by Forbes magazine, based on job, population and economic growth rates, median salaries and unemployment data. And there’s great weather to boot!